When selling online, finding and choosing the right ecommerce platform for your business is perhaps one of the most important decisions that you’ll make, however, there are a plethora of ecommerce platforms to choose from. While the basic function of ecommerce platforms is to enable businesses to accept online payments as well as collect the information necessary to be able to ship products out to customers, deciding on which ecommerce platform to sell on should also depend on your own business and your plans to grow. Sometimes there are only minute differences between the features of different ecommerce platforms but even these can affect your profit margins. In many cases, there are hidden costs for services to sync your inventory to online marketplaces or to dropship products. In other cases you may realize that the platform is not the best fit for your online marketing or search engine optimization strategies. These are just a few reasons why it’s important to do a little more research into how your business needs fit with your chosen ecommerce platform. In this post, we break down the core elements you need to know about ecommerce platforms so you can begin narrowing down your search to find the best fit for your business. What is the Best Ecommerce Platform For You? While there are some leaders in the space, there is no “best” platform overall, it really does depend on your specific needs, however, we’ll show you exactly what to look for so you can choose the best ecommerce platform for your particular business and business model. Ultimately, there are a lot of great ecommerce platform options available to entrepreneurs now. 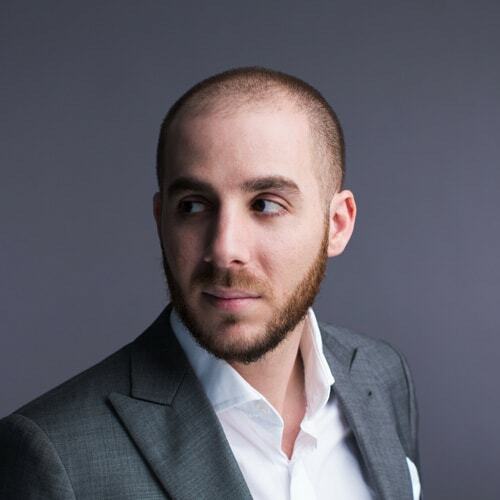 Shopify, Bigcommerce, and Squarespace are all great options which come highly recommended not only by us but by others in the ecommerce community, however, there are some other more niche platforms that have popped up in recent years which are suited for specific purposes such as creating a marketplace (ShareTribe), selling digital products (Gumroad), selling subscriptions boxes (Cratejoy), selling on your current blog/site (Selz), selling to other businesses (NuOrder), or taking pre-orders (Celery). We’ll cover each of the traditional ecommerce platforms in greater detail throughout this article, including a full overview of the top 10, and we’ll lightly discuss the merits of the niche ecommerce platforms so you can get a sense of what platforms are out there and available to you. Before getting started on narrowing down your ecommerce platform choices, there are a few fundamentals you’ll want to think carefully about, first, that’ll help you later identify which platform will be the best fit for your business. In this section, we’re going to go over the fundamentals as well as some of the advantages and disadvantages of each. Build Your Own Store: (Harder to start & more expensive in the short term) – With a custom designed store, you get the opportunity to create a more personal and branded experience with much more control over your business. Join a Marketplace: (Easier to start but more expensive in the long term) – A marketplace like Etsy, Amazon or eBay makes getting started as easy as possible because everything is already set up and structured. Just enter a product name, write a description, upload a photo and you can immediately start benefiting from the large volume of people who are searching for your type of product on the marketplace. 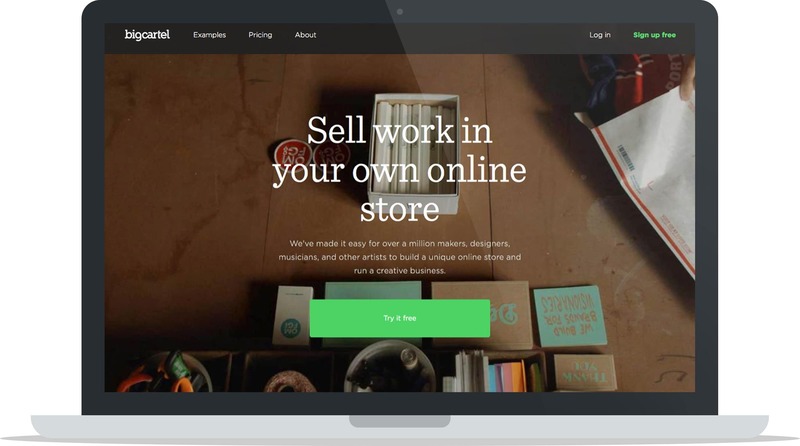 So, Should You Sell on a Marketplace or Your Own Storefront? Think of it this way: If you were planning on opening a physical store the equivalent question would be, “Should you open a kiosk inside a mall or your own standalone custom boutique?” The differences are remarkably similar to digital storefronts as well. First, if you were to open up a kiosk inside a mall, you’ll have restrictions. For example, your sign has to be a certain size and it has to be placed in the spot provided by the mall. When you open your own standalone store, you can design things however you like. Second, if you open a kiosk inside the mall, you’re guaranteed some traffic. The mall does a lot of the marketing for you to bring people through the doors which means you’ll benefit from the foot traffic walking by your kiosk. This is great because you’ll get traffic without having to work very hard for it, except… You’ll have to pay for it. Usually with malls, as a store owner, you’ll pay something called “percentage rent”. This means that you’ll pay a base rent per month for your store’s space in the mall, but you’ll also pay the mall a percentage of all the sales your store makes because they helped bring foot traffic to your store. If you start a boutique store outside of a mall, however, you’d just have to pay standard rent and no “percentage rent” but you won’t be guaranteed any traffic. You have to work hard to market your business and drive traffic to your store and although you might not be paying “percentage rent”, you will likely be spending money elsewhere for marketing. When you have your own boutique, though, you’re able to set up your store where you want and you can run it how you want. You don’t have to follow the mall’s rules and guidelines when it comes to the look of your store and the hours you can be open, and you won’t be required to follow the mall’s rules and regulations that have the potential to change and negatively impact your store. In ecommerce, the same is true. Marketplaces like Etsy, eBay, and Amazon are great because they have built in traffic much like a mall, however, you have to pay them for that convenience. Additionally, marketplaces provide little in the way of options to build a brand for yourself. Most importantly to note, they hide your customer’s information from you. You’ll (usually) never get your customer’s email address for future communications because from the marketplace’s point of view it’s their customer, not yours. Never owning your customer’s email address means you never actually own that customer relationship. That’s a big problem for long term growth and sustainability. Let’s look at another analogy in a slightly different situation. Imagine you build a house on someone else’s land, maybe in a foreign country: The country and the land looks good, there are grocery stores, great schools and lots of parks. Suddenly, one day the land owner comes by and says “get out”. You have no recourse. The life you’ve built is instantly gone because you built on someone else’s land. The same goes online. When you build your business on someone else’s land (marketplaces), they can take that land away (or charge you more to stay there) and you can’t do anything about it. This is an important consideration to keep in mind particularly when you decide to build your business on a marketplace like Etsy or Amazon. They’re the land owners, and when you sell on their marketplace you’re building on their land. It’s not uncommon for Amazon or Etsy to shut down stores without warning or for minor infractions that you may have not even been aware of, and if they do that it will impact your store and your livelihood if you’ve built exclusively on their land. The best solution, and what is generally recommend to most ecommerce businesses, is to remove as many middlemen from the core business as possible. Therefore, you should build your main business and brand on a platform that you control and that gives you access to all your customer’s information. Once you’ve built that main business, you can use marketplaces and channel extensions like Pinterest, Twitter, Facebook, Amazon, eBay, etc. to grow traffic and sales while always continuing to build your core assets, your own online store and brand. This option mixes together the best of both worlds so you can experience the benefits of creating your own store as well as selling on marketplaces all while minimizing the disadvantages of both options. Note: Although many sellers have experienced a lot of success by selling exclusively on various marketplaces, we believe your core business should be built on an asset that gives you much more control than a marketplace can ever offer. 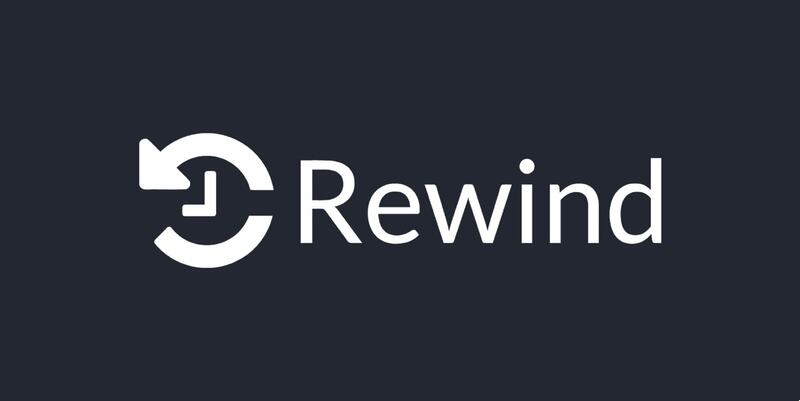 The rest of this guide will focus primarily on platforms and not marketplaces because of this. Note: Below we go into more detail about hosted and self-hosted ecommerce platform options, however, almost all of the platforms recommended in this guide are hosted. We highly recommend that you ultimately choose a hosted platform to build your ecommerce store on but it’s important that you know and understand the differences. Hosted ecommerce platforms make your life easier. You don’t have to worry about security, vulnerabilities, PCI compliance, backups, or website crashes. It just works. All the technical aspects of maintaining a safe and secure website are managed by the platform provider (i.e. Shopify, Bigcommerce, Squarespace etc.). Why is this important? Because building a business is hard enough. There’s no reason you should be spending your time learning and managing all the technical aspects of operating a website when someone else more knowledgeable and experienced in that area can handle it for you. A hosted ecommerce platform solution allows you to stay focused on what’s important: Your business and your customers. A self-hosted ecommerce platform like WooCommerce for WordPress.org (not to be confused with WordPress.com) means that you have to purchase hosting space, download the software and upload it to your hosting space. If you’re ever hacked, you’ll have to take care of that. You’ll also need to make sure your site is secure so that you’re PCI compliant. You don’t want to be responsible if your customers credit card numbers are stolen, right? Don’t get us wrong, a self-hosted solution has its place, however, for most ecommerce entrepreneurs, choosing a self-hosted option is going to be a very steep learning curve and give you lots of headaches that will take away from your core business of selling products, servicing customers, and building your brand. Some of the best ecommerce platforms, such as Shopify and Bigcommerce, have app stores where you can pick and choose additional functionality based on your needs. While some of these apps are free, many of them are paid, but paying for useful apps to help streamline your business is well worth the investment, especially if your store is growing. These tools can save you time and headaches while allowing you to focus on other important aspects of your business. You’ll want to carefully consider which apps and additional functionalities you’ll likely need for your ecommerce store both now as well as in the future. For example, if you already have a physical store or pop-up shop and you use QuickBooks for your accounting, you may want to consider which platforms have an integration with QuickBooks so all the information from your orders is automatically pushed to your accounting software. This alone can save you hours per month. Although many platforms have similar features, as we mentioned at the start of this article, some platforms are built for specific purposes. Some are better suited for selling digital products quickly (Gumroad), selling subscription boxes (Cratejoy), selling to other businesses (NuOrder) or taking pre-orders (Celery). These platforms are some of the biggest in the industry and have pretty wide feature sets. That makes these a great option for the majority of new and growing businesses. Note: *3rd party app required for functionality. These platforms are smaller, more niche platforms that have a narrower focus than traditional ecommerce platforms. These platforms tend to specialize in one or two features that are very important to a small number of people. Note: Since traditional ecommerce platforms are more widely used than niche ecommerce platforms, and most of the top ecommerce platforms offer the same features as niche ecommerce platforms, we’re going to focus on the capabilities, advantages and disadvantages of the top 10 ecommerce platforms from here on out. These top 10 ecommerce platforms are the most recommended platforms in the industry and, in most cases, one of these platforms will likely be an ideal fit for any ecommerce business. While most of these platforms claim to be better than the others in terms of speed, SEO or even reliability, a few stand out above the rest and are favourites amongst online store/website builders. These are our top 10 picks for the best ecommerce platforms and they’re ranked and reviewed for your convenience. The following platforms have been ranked on the the basis of these factors: Features, pricing, usability, support and popularity. In our number one spot is Shopify because they’re undoubtedly the leader of the ecommerce platform space. As an ecommerce platform, Shopify allows store owners to sell all kinds of products and services and since the platform is a fully integrated ecommerce solution, it features an “out of the box and ready to use” interface, with several interesting and useful features. The platform has customizable themes with which users can organize and display products as they wish, track and fulfill orders, all while accepting payments online (Shopify supports various online payment options) through PayPal, credit or debit cards. Pricing is based on a monthly billing system and there are various payment plans to suit individual needs (starting from $9/month and progressing to $29, $79 and ultimately $179/month). However, Shopify also provides a 14 day free trial so that you can test out the platform before making a commitment. Shopify is a hassle-free platform to use and it’s relatively easy to set up your own ecommerce store and get your business running in no time. The process of setting up your store is quite intuitive – after signing up to the service you can pick from over a hundred online store designs, and customize your choice to your liking, which eliminates the need for hiring a designer or having any prior design knowledge on your part. The website designs that are offered are visually impressive and are to be optimized to boost your customer conversion rates. As Shopify is a cloud-based platform, it also conveniently offers web hosting on a server structure that is specifically built and optimised for ecommerce. As a business owner, this means one fewer overhead cost to keep track of as you do not need to host your website elsewhere. Another great feature, which is extremely useful if you are already a business owner with an actual brick-and-mortar store, is that Shopify also offers offline solutions, including hardware like their Chip and Swipe Reader, which can be easily integrated with your current operations. Note: For a full review of the Shopify ecommerce platform, check out our extensive and comprehensive Shopify Review. The infrastructure that the Shopify ecommerce platform provides is great for scaling your business as Shopify can handle everything from an increase in the products you sell, to an increase in the number of sales you make, seamlessly. This means that you can directly sell on platforms such as Facebook, Pinterest, Twitter and other social networking sites, wherein users can get updates within the platform (such as in Facebook Messenger) or you can have a dedicated store with a point of sale (POS) system and its own payment processing service too (as you upgrade your Shopify plan, the transaction fee will also become lower for this service). Shopify truly is the ultimate user-friendly ecommerce platform which makes it perfect for both beginners in the ecommerce space as well as seasoned professionals. The multipurpose aspects of this platform make it a reasonable solution for anyone businesses owners looking for a flexible solution to sell their products whenever and wherever they want. The platform also has free tools that can help you start and run your business such as the Business Name Generator tool and the Paypal Fee Calculator tool, amongst many others. 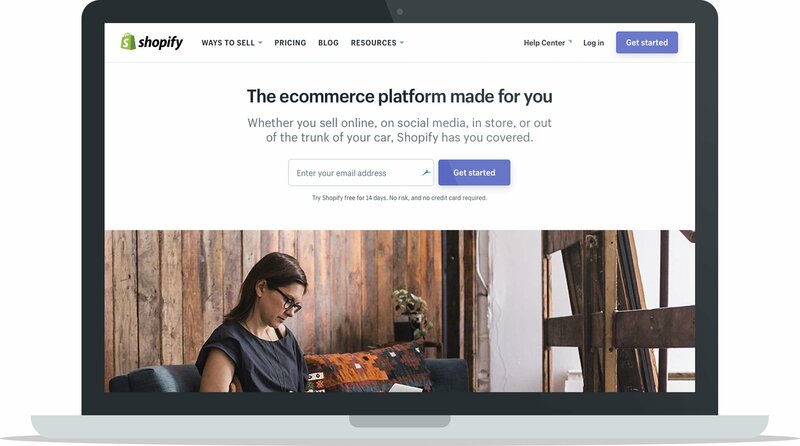 The platform’s ease of use, affordable pricing structure and its variety of features is perhaps what makes Shopify one of the most attractive ecommerce platforms out there, and puts it in the top position on our list. (Also worth mentioning Shopify Plus: perfect for enterprise and startups doing large volume). Bonus: Check out our step-by-step guides on building a custom t-shirt store, or custom phone case store on the Shopify platform. BigCommerce is one of the leading ecommerce providers since 2009 and hosts over 50,000 online stores, famously including some of the bigwigs like Toyota and Martha Stewart. For those who have no technical knowledge or experience with coding but require a platform with a good set of built-in features, BigCommerce is a great option. BigCommerce presents itself as a cloud-based ecommerce platform for fast growing brands and it promises more traffic, higher conversion rates and unmatched performance. Some of the features that it lists are order fulfilment, analytics, online payment support, newsletters and coupon provision, amongst others. BigCommerce also provides a 15 day free trial which allows full access to all the features that the platform has to offer – the only drawback of this phase is that even though you may be able to set up your entire store, your customers can’t buy anything during the trial period unless you upgrade your pricing plan. The BigCommerce pricing plan is three tiered: First up is the $29.95/month Standard Plan which includes unlimited products, storage and bandwidth, which means that it does not restrict the growth of your store. Keep in mind that even though this plan allows you to accept payments through credit cards and PayPal, there is still a 1.5% transaction fee on every transaction – which can be avoided if you choose to upgrade to the $79.95/month Plus Plan. Alternatively, BigCommerce also has a plan that supports high volume businesses and has custom pricing for each individual case. The main drawback of this platform, in comparison to others, is the lack of free themes for stores. 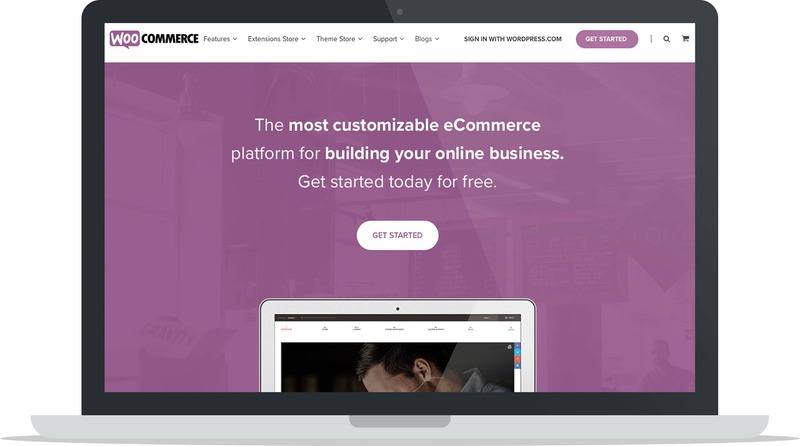 While BigCommerce offers only 7 free themes for business owners to utilize, other platforms offer up to 20 free themes. However, BigCommerce is great if you would like to customize your theme and create a totally unique “store front” with the premium options (a pricey $120 – $250). Due to the platform’s placement within the industry and specifically being aimed at companies that want to scale – it can hold anywhere between 10 to a 1000 products on the database while still keeping the entire process extremely simple. Even if there is a sudden spike of traffic on your store due to a new product launch or one going viral, the servers can easily deal with such situations, too. BigCommerce also takes information security extremely seriously. They have top of the line hacker deterrent hardware firewalls and use SSL to protect all their customer information. With a stellar track record in the past and superb support for clients via extensive guides, videos and other tools, BigCommerce is a great platform to host your online business on. WooCommerce is truly the most customizable ecommerce platform out there, which is perhaps why it’s extremely popular amongst designers and ecommerce developers as they have a massive amount of flexibility with the platform’s features to be creative. WooCommerce is an open source ecommerce platform which is built on WordPress. This is extremely interesting as it’s the perfect combination of commerce and content with a high scale for customization. WordPress, impressively, is the software that runs about 26% of the web, this means that WooCommerce can basically run with the widest variety of plugins on the internet while providing a sense of familiarity to those who are already experienced with the content management system of WordPress. When using WooCommerce, WordPress is actually the platform that enables you to build the website for your store but the WooCommerce plug-in is what transforms your site into an online store. The basic plug-in is free to use, however, you can add additional functionality and features by installing more plug-ins. Even though WooCommerce isn’t the only plug-in available to transform a WordPress website into an ecommerce store, it is by far the most popular – which means that there is an abundance of knowledge and support out there to help you get your store running. Firstly, you will need to pick your web host and register the domain name that you would like to use for your store. Secondly, you will need to download and install WordPress on the web host you have chosen. Lastly, you would need to install and activate the WooCommerce plug-in on your website. These steps will give you a basic store with limited ecommerce features. To add more features, you can install several WooCommerce Extensions such as analytics tools like Google Analytics and Product Bundles that allows you to bundle your products and sell them on your store. Other popular extensions include MailChimp and FreshDesk. Due to the fact that WooCommerce lets you have complete control over the features you want and the ones you don’t, no other platform comes close in terms of the flexibility you have to create your store how you want it. While this platform can be extremely intuitive and easy to use if you have prior experience with WordPress, it can be a huge learning curve if you don’t. So, for a beginner in the ecommerce space, a more all-in-one platform like Shopify or BigCommerce may be a better option. Squarespace is THE platform for the person who prioritizes the aesthetic and style quotient of the user interface and design of their online store over everything else. While it’s slightly “lighter” in terms of features, by no means does that make it any less impressive. The platform itself handles all the technical tangents such as hosting, domains and servers, which means you can focus on the other aspects of running your business, without doing any heavy lifting. There is barely any learning curve when it comes to using the platform as the interface is visually representative, yet pretty simplified. For someone with no technical know-how, Squarespace is one of the best solutions to creating a stunning website that resonates with your brand’s personality and your audience. There are hundreds of templates to choose from, which can be further customized to your needs, and they easily incorporate online payment integrations. The pricing starts at $26/month, which is relatively cheaper than other platforms for the kind of features you get. Not only do you get a custom domain name for free and can sell an unlimited number of products on your store, there are also no transaction fees. As your store scales, you also have the option to opt for the premium $70/month plan which upgrades the functionality of multiple features. One of the things that truly sets Squarespace apart is the fact that you can use multiple designs on the same website and have a flexible product arrangement instead of the standard categorized views. Features of the platform include a Blogging Module which makes it great for content management and also the website analytics and statistics that provide metric data for your store. Squarespace provides a SEO-friendly structure and automatically optimizes your website to mobile devices, which is important seeing as to how a large portion of consumers are now shopping through smartphones and tablets. Furthermore, the platform also boasts flexible shipping options, built-in security through SSL, order and inventory management and 24×7 support! One of the reasons Squarespace does not rank higher on this list is due to the limitations it has when it comes to scaling your business. The platform loses out as it only provides one payment gateway option – Stripe – and no integrations with marketplaces such as Amazon. For boutique owners catering to a niche market or shop owners operating on a small scale, Squarespace is a brilliant option, however those looking to grow on a massive scale and FAST, are better off looking elsewhere. BigCartel is essentially an ecommerce platform that is targeted at creatives. BigCartel includes all the aspects of a basic ecommerce store but simplifies it to the point that you can literally set up your entire store and have it running in minutes. The features of this platform are extremely limited in order to keep it simple and minimalistic. It’s important to understand that this particular platform is suitable to only a few kind of business models dealing in a creative niche. To a seasoned ecommerce professional, this platform may even be frustrating due to its “over-simplicity”. BigCartel positions itself as an artist centric platform and their ethos clearly reflects that in the way their infrastructure is set up and in the way the platform itself is designed. It’s all about taking the product and getting it to the customer in the simplest way possible, without any hassle. The platform relies heavily on its intuitiveness to sell itself to new store owners, which is why you will not come across any complex UX design or complex features. BigCartel is perfect for any creative who may be new to selling online and want to sell between 1 – 20 products on their online store and keep the business relatively small. Even with its simple approach, the platform still has some limited yet essential features: Order and inventory management and tracking, no transaction fees, integration with Facebook and Google Analytics and SEO structure. The pricing is relatively cheaper compared to other platforms – starting with a “forever free” plan wherein you can sell up to 5 unique products but no more, even then some of the features are not available. The other plans are $9.99, $19.99 or $29.99 /month and as you progress to the premium plans, you can sell more products and unlock all the features that the platform has to offer. As BigCartel is big on visuals and design, one of their greatest strengths is to help you play up your marketing. They have some great inbuilt marketing tools such as time-sensitive discounts and pre-orders. Due to the nature of their platform, the flexibility to build your store exactly how you want it is definitely lost and along with that so are important factors like integrations with multiple payment platforms (currently only Stripe and PayPal are available), a website search feature, and fewer product customization options. They claim that they “provide just the right mix of real-time stats, search engine optimization, order management, and promotional tools to get a small shop up and running with as little stress as possible” – and they are pretty spot on with that. 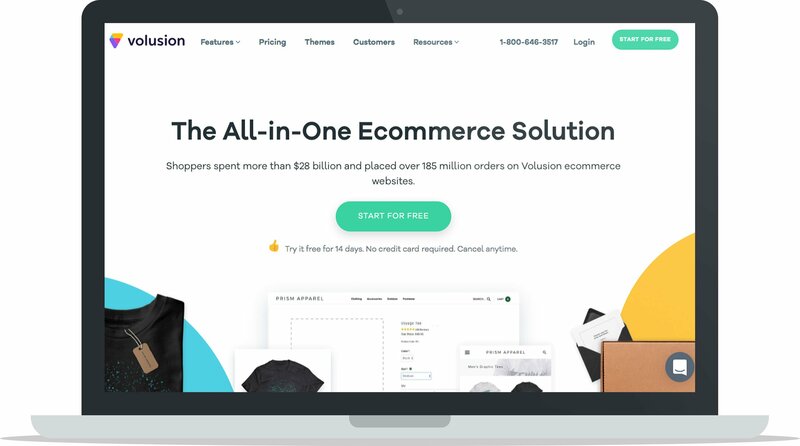 Volusion is a completely hosted ecommerce platform that is pretty similar to the likes of Shopify or BigCommerce. This means that you pay on a monthly basis and access a platform that provides great customization power, while being completely prepared to scale as your business grows. Volusion has a website builder module that not only helps you bring to life the commerce aspect of your online store, but can also help you create a beautifully designed and intuitive website with various types of non-commerce, content-based pages. Furthermore, if you would prefer to hire a team of experts to do so, Volusion also has a support team that is available 24/7 and a dedicated account manager to help you out with this. The platform supports all major credit cards and has integrations with PayPal and even Amazon Payments. It has an advanced inventory management system and you can list unlimited product options on your store with detailed product information to boot. Furthermore, Volusion also makes it easy to sell on Amazon, eBay and Facebook and has a built in SEO management and a CRM system. While the platform provides a 14 day free trial, the pricing strategy is one of the drawbacks of Volusion. The basic plan is $15/month and lets you add up to 100 products on your store, which sounds great unless you read the fine print – if you would like your store to accept major credit cards, you will have to purchase the SSL certificate separately, which is priced at $89/year. Volusion is a great platform for those who are looking for a power-packed, feature heavy platform with a simple interface and tons of different design templates. They currently offer 300+ stunning templates with what they call “smart themes”. It’s all relatively straightforward and as mentioned before, if you need help with anything, Volusion’s support team is second to none. Volusion is definitely the right choice for you if you are starting out in the ecommerce sector, looking for a powerhouse of a platform with great support architecture but don’t mind rolling out a couple of bucks for the payment methods to become more inclusive. 3DCart specializes in the CRM side of things, which is one of the features that sets them apart from other ecommerce platforms. 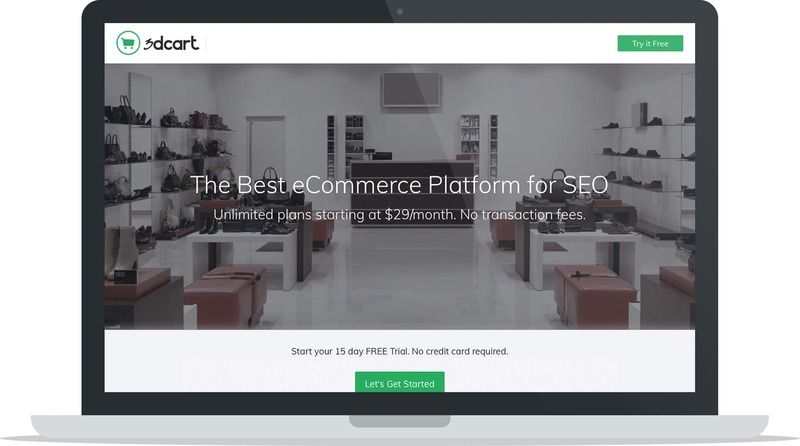 Apart from the basic features that the majority of the other platforms offer, wherein they combine the landing pages, product listings and orders all into one dashboard, 3DCart also has a ranking system for their customer base, complete with the contact information, order history and the reviews that they might have left. Having this collective database also means that marketing operations and campaigns are relatively more effective. For starters, email newsletters can be targeted to specific groups based on their purchases, etc. The coupon feature already exists, but this detailed customer information could also help you build a loyalty point system where returning customers can be rewarded. The platform is said to power over 23,000 global stores and also has 24/7 phone and chat support incase their users require assistance. 3DCart is a hosted platform, which for you as a business owner means that you won’t have to pay extra for various different software installations, web-hosting or server/technical solutions in the future. 3DCart has integrations with Amazon, Facebook, eBay, Google Shopping and Shopzilla. As the platform manages your orders and inventory, integrations with other shipping services and marketplaces, it also provides printing services for shipping labels and can process returns & refunds, too. One of the features that 3DCart seems to highlight and be relatively more experienced with is upselling and cross-selling which is especially useful if you have lots of complementary or graded products. One of the disadvantages to 3DCart is that their pricing is based on the monthly traffic volume predicted, which makes it a bit of an unsuitable option for someone who has higher traffic activity. Another aspect to consider is the limited number of templates that are often not as visually appealing as the ones offered on platforms such as Shopify or BigCommerce. For someone looking for a platform to help get them up and running though, 3DCart is not a bad option as it’s pretty feature driven. Magento is one of the most widely used free ecommerce softwares, and boast a user base of more than 30,000 global businesses – 20% of all ecommerce sites online are powered by this platform. Even though the basic level of the platform is free, they do offer paid plans for those looking to upgrade. With giants like Nespresso and Samsung using their ecommerce platform, it’s safe to say that Magento knows what they are doing and even if you’re a smaller, but serious, company this is still a great platform to choose. As mentioned earlier, the basic software of Magneto is free to download and load onto your server but the free software does not include their hosted service. To use their hosted service you must upgrade to a paid tier. While the platform itself is an all inclusive, feature driven one, the technology behind the software is advanced and using Magento without any experience in web development might not be possible. So unless you are already a web developer with a little experience under your belt, you might have to end up hiring someone to help manage your store which comes as an additional cost to running a successful business. Magento is aimed towards well-established businesses with funding and time to spare to set up and manage their online store. 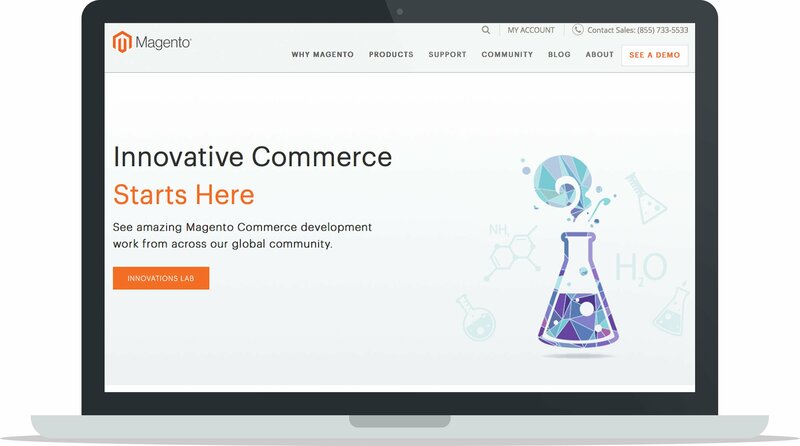 Even though Magento is an alluring choice due to the clientele it hosts, if you are someone who is new to the ecommerce space, there are other platforms (such as Shopify or BigCommerce) that might be better suited to your business needs and have all the features that you might specifically require to run your business successfully without the help of a hired web developer. The Magento platform handles the basic stuff like inventory and shipping management, multiple payment options, SEO built-in features, marketing tools, etc. The more attractive features however, are the multilingual support and the 5000+ extensions to optimize and customize the website to exactly the way you would like it to be. Due to its extensive capabilities, Magento can easily handle heavy traffic and sales, thus it’s a great option if you’re planning to scale fast or are already a big ecommerce store. 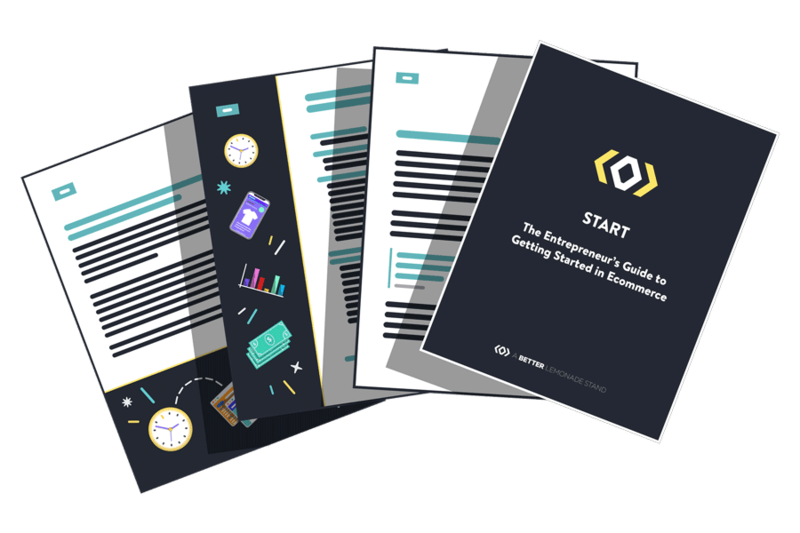 While the basic platform is free, it might not work for your business and you might decide to upgrade – the thing is, that it may come at a cost. While the website doesn’t list the prices, the range is reportedly anywhere from $15,000 to approximately $50,000 per year and the price is subjective to the business size, etc. This paid tier is the Enterprise version and is set up by the Magento support team itself. Another factor to consider is that Magento itself does not offer theme or template customizations which means that you need to either look into Magento Connect, ThemeForest or build your own premium themes. Magento is a platform that requires a lot of investment – be it in terms of money, time and effort – however if the platform fits your business model and plan, it may be a great ecommerce platform solution for your ecommerce business. YoKart is an ecommerce platform that is feature rich and has a great pricing model. 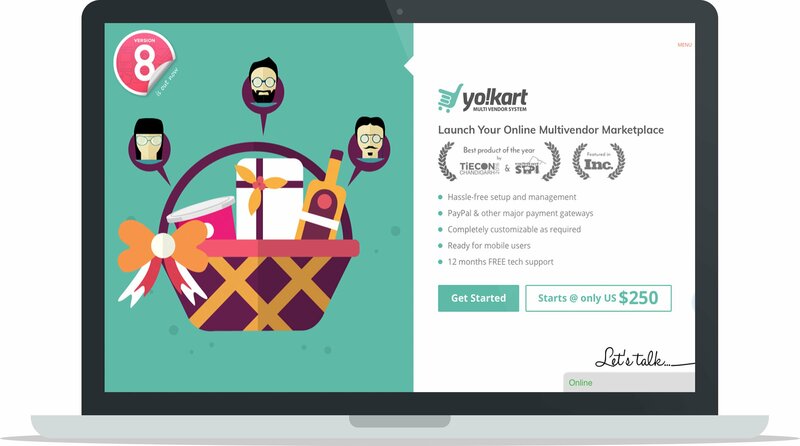 If you’re a business owner who wants to set up a multi-channel store, such as by selling on other marketplaces like Etsy or eBay in addition to your ecommerce platform, then YoKart is definitely the a good solution for you. While the platform is already set up to enable multi-channel selling for stores immediately, you’re also able to make customizations to your store as long as you have the capabilities to edit their encrypted framework, or can hire an expert to make changes for you. The pricing for the platform is two tiered: The Start-Up Plan is $250 for a 1-year licence and is a hosted solution, while the Advanced Plan is a one time payment of $999 to buy, which is completely customizable and self-hosted. These plans are based on the kind of business models you have, and upgrading is relatively simple. The great part is that you get all the features that the platform has to offer regardless of which plan you pick. The features include 12 month support for managing your store (guides, tutorials and tools available, too), great payment gateway support for multiple online payment platforms, analytic tools, rewards and coupon features, etc. What YoKart lacks, however, are integrations with social media platforms and there are currently no third-party extensions available for the platform, which are pretty big drawbacks if your focus is on social commerce. 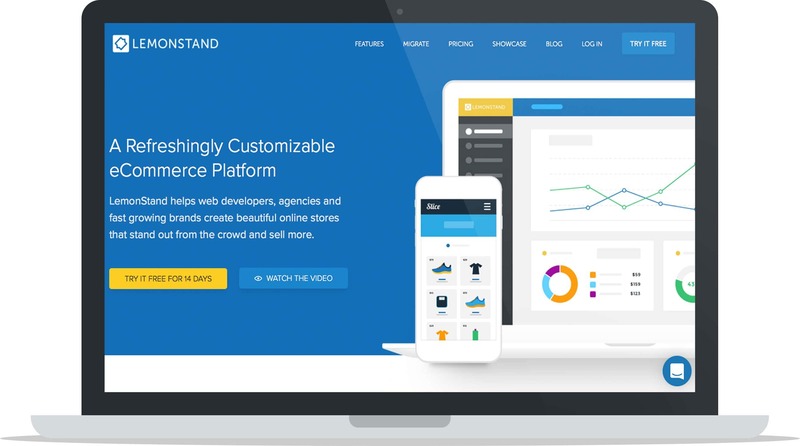 LemonStand is a cloud-based, hosted ecommerce solution with an easy-to-use and intuitive user interface. Once you sign up, most of the technical aspects of your store will be taken care of by the platform, however, if you crave total, or even a little more, control over the design of your store, you can get full access to that, too. The platform is ideal for businesses that already have an existing database and are set on the course to expand/scale. LemonStand offers customization options for every aspect of your store to ensure that your online presence is fine-tuned to be exactly what your brand and business needs (to do this you may need web development experience or will perhaps have to hire someone who does). 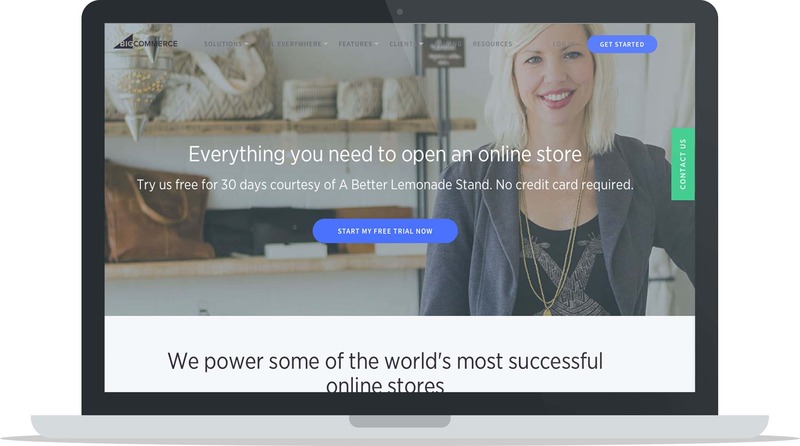 In that context, LemonStand may not be the most ideal ecommerce solution for smaller sized shops or those just breaking out into the market. Post the free trial, there are 4 tiers of pricing: The cheapest one is the Startup Plan at $49/month that allows up to 200 orders per month. The Professional Plan is $99/month and allows upto 400 orders per month. For extensive features and a higher cap for the number of orders per month, LemonStand also offers the Growth and Premium Plans at $199/month and $599/month, respectively. As far as online store designs go, LemonStand offers some great designs that are customized for both desktop and mobile devices. The features offered by the platform include no transaction fees, built-in advanced SEO features, scalable hosting, developer friendly API, SSL support, multiple payment options including crypto currency such as BitCoin, amongst others. One of the platform’s strongest features, however, is its ability to integrate with third party web apps. This, coupled with one of the largest range of payment processors, makes it a pretty great ecommerce platform. Choosing the right ecommerce platform will require a lot of consideration on your part, thus should not be a hasty decision. In order to pick the right one, you could create a spreadsheet that lists all your requirements and put the different platforms in the columns. Highlight or tick the boxes that correlate with your requirements and by the end of this exercise, you should have a definitive answer or, at the very least, your top 3 choices. To narrow down this list further, consider which platform is the best for your industry and if integrations with third party apps or extensions are available to support any unforeseen issues in the future. Once you have your choice in place, setting up at least the basic version of your store shouldn’t take more than a couple of hours. With most platforms offering free trials, you need not even commit to any one choice until you have tested every aspect and feature out. Be sure to choose an ecommerce solution that lets you focus on your customers and the products instead of the technical aspects of store itself. So there you have it ー The top 10 best ecommerce platforms, ranked and reviewed for your convenience! Here are our top recommendations: If you’re planning on building a longstanding business, one that you plan to scale and grow, you’re going to want to choose Shopify, Bigcommerce, or Squarespace. Both Shopify and Bigcommerce have great app stores which can extend the functionality of your own store, giving them an edge over Squarespace. 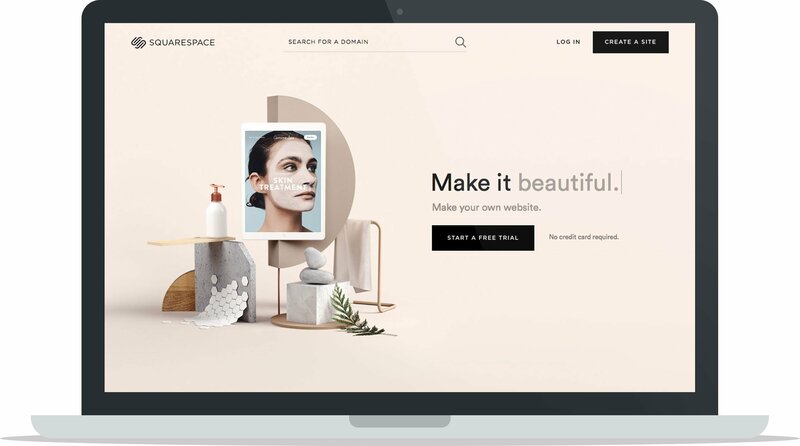 Squarespace has a better theme designer and really prides itself on helping you create beautiful store designs so if design (on a budget) is very important to you, you may want to take a closer look at Squarespace. If you’re a die-hard Paypal fan, you should know that Squarespace doesn’t have Paypal functionality and they also don’t have an app store so you’re limited to the sole functionalities that the platform offers. Again, Shopify or Bigcommerce is the better option if either of those aspects are important to you. If you’re planning on doing offline sales, such as opening a physical store or selling at a pop-up shop or market, you’ll want to look at Shopify. Shopify has a Chip & Swipe Card Reader for things like markets and pop-up shops and full-blown point of sale (POS) hardware and software if a physical storefront is in your future. If you’re selling digital products (like music, ebooks, etc.) you should take a look at Gumroad. They make things super simple to get started, however, Gumroad offers very limited customization abilities, no tax options for people living outside of the USA, and you’re not allowed to sell services/consulting on their platform. If you want to sell services or consulting time, or you just want a bit more functionality and customization ability than Gumroad, take a look at Selz. Selz is a lot like Gumroad but with more functionality, customization options, and an app store. Selz’s main disadvantage is that accepting PayPal requires an app which is $4.99/month. If you’re selling subscription products/boxes, check out Cratejoy. It has less functionality than more established platforms like Shopify and Bigcommerce, but they only focus on subscriptions, which is a lucrative but slightly more complex business model. If you want to have your cake and eat it too, you can use Shopify along with the 3rd party app BOLD Recurring Orders App or Recharge to make subscriptions work with Shopify. For the majority of people (literally 90%+), the right solution for you is likely going to be a hosted ecommerce platform like Shopify or Bigcommerce. They’re Full-Featured Platforms: That means they will work for the majority of people and businesses. They’re great if your just selling a few t-shirts a week but they work equally as well if you’re selling millions of dollars in revenue per year. They’re Hosted Platforms: Look, building a business is hard enough. You’ll likely be learning about a lot of things you never knew before (supplier relationships, accounting, inventory management, order fulfillment, etc.) and the last thing you need to learn about and manage while building a business is IT, PCI compliance, security updates, patches and hacks. A hosted platform takes care of all this for you so you can focus on building and growing your business. They Have App Stores:They both have a healthy app, designer and developer base which means you can get help and do some really cool things for your ecommerce store if you need or want to. You Have More Control: You can fully control and build your brand with both platforms. Much unlike marketplaces, you have full control over what your store looks like, your communication with customers and ultimately, your relationship with them. You’re free to do as you wish. That’s not to say you shouldn’t utilize marketplaces for traffic and exposure, but building your ecommerce store on platforms such as Shopify or BigCommerce gives you a solid home-base to really grow and own your brand. Finding the right ecommerce platform can be a time consuming and often challenging process, however, the pay off will be worthwhile when you find the platform that best suits your business. When you see an increase in sales, your business growing, and your day to day operations becoming smoother and more efficient, you will realize the value of the time, effort and energy you invested into this process. We hope this article has answered all your ecommerce platform questions and you can now make an informed decision as to which ecommerce platform will be the best fit for you to build, launch and grow your business on. Good luck! Note: If you’re still unsure which ecommerce platform is the best option for your business, please use the Personalized Ecommerce Platform Recommendation Tool and we will personally provide you with feedback based on your individual circumstances.